A rubber roof is a popular choice for commercial buildings. This roof type is durable, affordable, and low maintenance. However, low-maintenance doesn’t mean no maintenance. 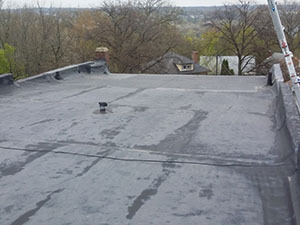 Even your reliable rubber roof will eventually spring a leak. When this happens, Capital Coating is there to help the people of Wayne, PA with rubber roof repairs and more. All you need to do is call us at (717) 442-0979 to learn more about our services. There are a lot of things you can do to get more years out of your rubber roof. Scheduling roof inspections regularly is near the top of that list. With a couple roof inspections annually, Capital Coating will be able to stay ahead of any necessary maintenance or repairs and stop problems dead in their tracks. This is the first step to keeping your roof in top condition as time goes on. If you do have a rubber roof that is leaking, it may be because the membrane is simply getting old. If this is the case, you would do well to get a roof coating on your rubber roof. 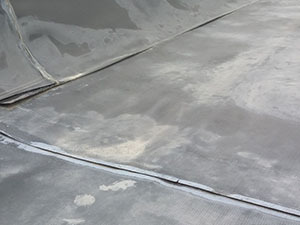 A roof coating will restore the condition of the membrane. This waterproof layer sheds off all water and prevents your rubber roof from leaking. There are a lot of benefits to restoring your roof. For starters, a roof coating is far more affordable than a rubber roof replacement. In many cases, a roof coating is the better alternative. In fact, most roofs tend to be replaced prematurely. A roof coating is such a simple and easy service, yet extremely effective at protecting your roof. This layer is also reflective which means you’ll be saving money on energy costs. The roofers at Capital Coating have many years of experience repairing, restoring, and replacing rubber roofs. We are experts in roof leak detection. When you hire us to repair your rubber roof, you can count on us to get the job done right on the first visit. When you need a rubber roof repair, it’s best to let us know right away. Capital Coating provides timely rubber roof repairs to clients in Wayne, PA. Just give us a call at (717) 442-0979 to schedule a free onsite roof evaluation.